​ Verlene Brown is a wounded healer. She understands how you feel and has a real concern for those who are experiencing grief. During a short 2-year period, she suffered four significant losses. Prior to these traumatic losses, she was coping with the emptiness left by the passing of her father whom she was very close to. Later, she experienced other losses including her ex-husband, a cherished aunt, and a cousin. Verlene is someone well acquainted with grief. Her experiences with loss have been devastating, but purposeful. She currently serves as a Certified Grief Recovery Specialist and an experienced Grief Support Group Leader. She is a Trustee Board member, Sunday School Teacher, and a Women’s Ministry Educator at her local church. She also serves as a Group Leader at Bible Study Fellowship International. 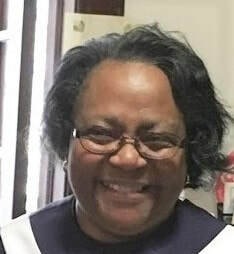 Verlene acquired her Associate of Arts degree in Biblical Studies from Beulah Heights University, graduating with honors. Her life’s mission is to support those who have experienced great losses and help them recover emotional and spiritual wholeness. ​​At the age of nineteen Dr. Chenee’ Gilbert lost her mom to cancer. On the cusp of adulthood, she was on an emotional roller-coaster. Instead of discussing her feelings, Dr. Gilbert chose to write her feelings and thoughts in a journal. Years later in 2008, she transformed her journal into a children’s book titled, “Mama, Did You Mean to Leave So Soon?” Dr. Gilbert encountered several students who struggled with emotional and social issues and discovered all of these students shared a similar experience, the loss of a loved one.Having journeyed through the same life changing event, Dr. Gilbert easily identified with the different emotions and behaviors displayed by her students that, reassured them that what they were experiencing is normal, and taught them healthy responses to their loss. These encounters gave birth to her desire to support grieving youth. Today, Dr. Gilbert is a trained Grief Support Facilitator who specializes in Children’s Grief and Recovery. 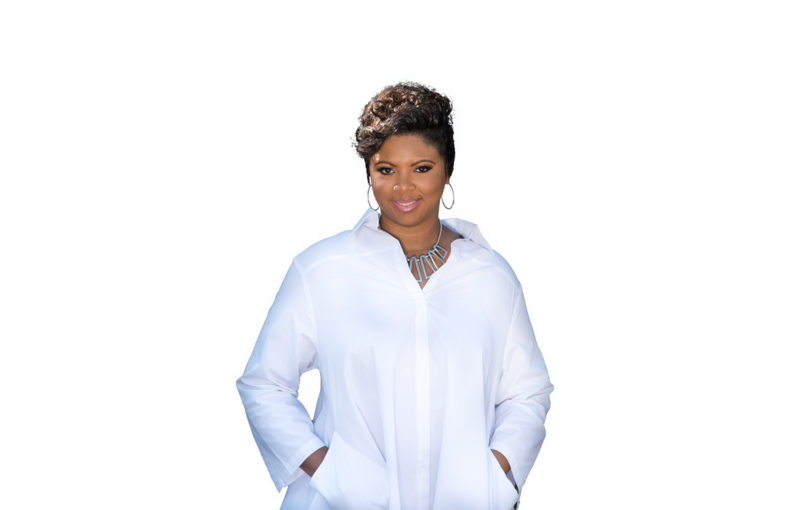 Her vision is to help youth ages 5-17 communicate their feelings and reprogram their mindsets to achieve their fullest potential. Dr. Gilbert ‘s latest book, “It’s Okay, I’m Watching.” is the first book of a three-part “Dear Grief” series and is available on Amazon, and Soul Deep Publishing. Dr. Gilbert has a doctorate in education and has served as an educator for over 20 years. Bishop Earnest L. Deas is the Senior Pastor at Agape Wholistic Life Changing Ministries, Inc. He is a visionary and always seeks to implement programs addressing individuals as a whole as well as spiritual growth for the people of God. He has been a spiritual leader for more than 40+ years and has held numerous leadership positions within the church. Prior to retirement, Bishop Deas served as Chaplain at the Atlanta Police Department. He has had years of clinical training as well as provided pastoral counseling for countless members and others. Pastor Deas' personal experiences, and with grief in particular enables him to understand and relate to the emotional and spiritual pain associated with losing a loved one. Pastor Deas is a Christ-like servant leader who is willing to journey alongside others as they grieve. One of his anointed gifts is “making others feel better." This is achieved through the relentless encouragement and support he gives. Bishop Deas received a Master of Divinity Degree in Pastoral Care from the Interdenominational Theological Center and obtained a B.S. Degree in Psychology from Morehouse College. He has experienced the death of his father and other close relatives. ​ Kathy has worked in the healthcare industry for more than 35 years. As a community and public health Registered Nurse, she cares for individuals having physical and mental health concerns. Kathy’s traumatic experience with grief began when she lost her husband after 29 years of marriage. Realizing the detriment of going through the grieving process alone and to better cope with her heartbreaking grief, she sought counseling. After attending counseling sessions at a familiar hospice center for more than a year, she continued to struggle with moving forward in life without her beloved lifetime partner. Kathy desired a safe place to freely share her struggles with others who were experiencing similar issues. In 2012, she found GriefShare, a Christ-centered grief support program based upon bible principles that modeled Ecclesiastes 4:9-10 ; “Two are better than one, because they have a good return for their labor. If either of them falls down, one can help the other up. But pity anyone who falls and has no one to help them up.” Today, Kathy is a GriefShare member and leader. She has served as a Grief Support Facilitator for the past 2 years. Her life’s mission is to give a hug of welcome to anyone on the grief journey and extend a helping hand to the bereaved as they discover their “new normal”.